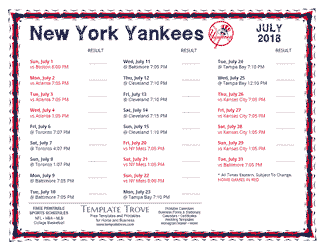 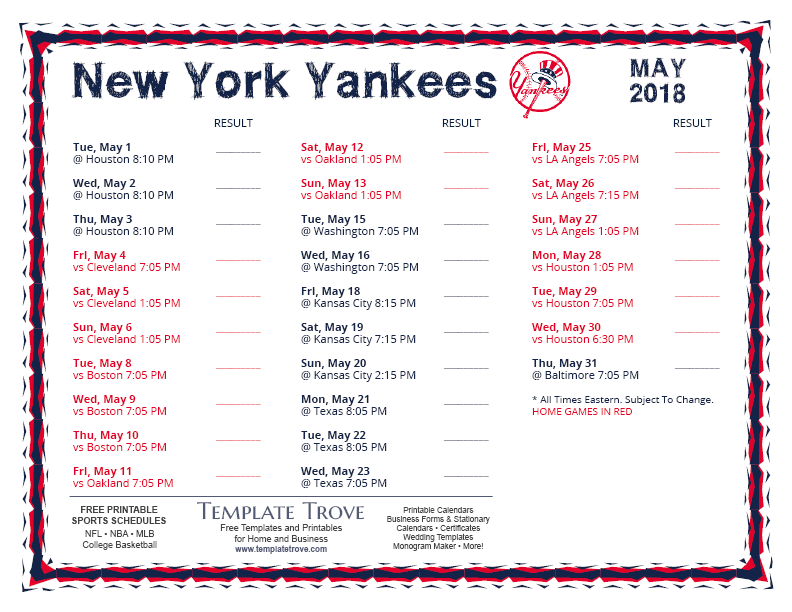 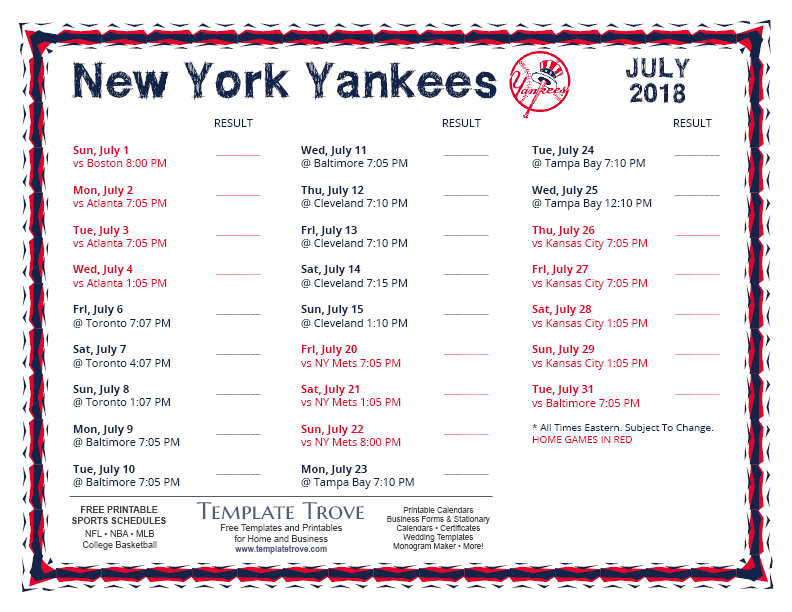 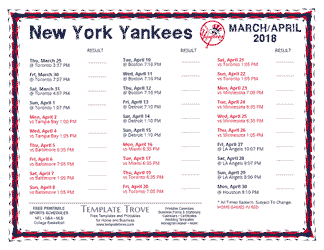 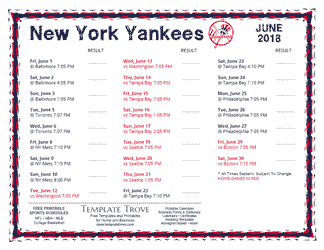 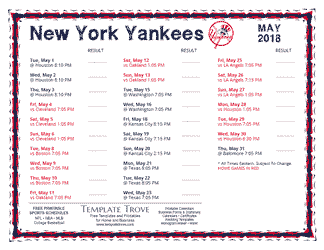 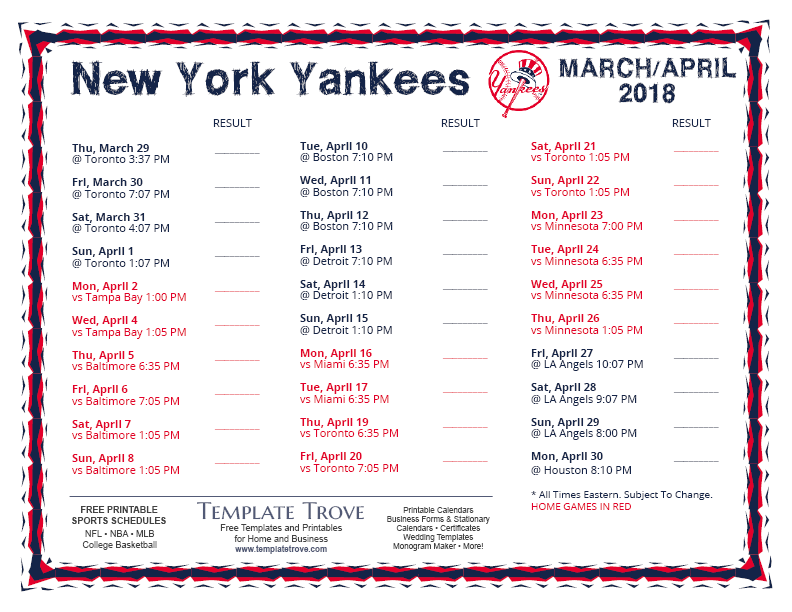 Keep up with the 2018 New York Yankees with our handy printable schedules, now available for each US time zone. 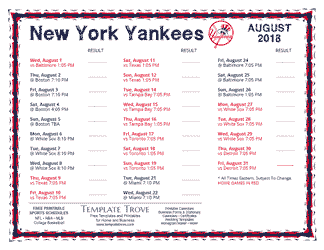 Schedules are displayed by month and can be printed on 8 1/2" x 11' paper. 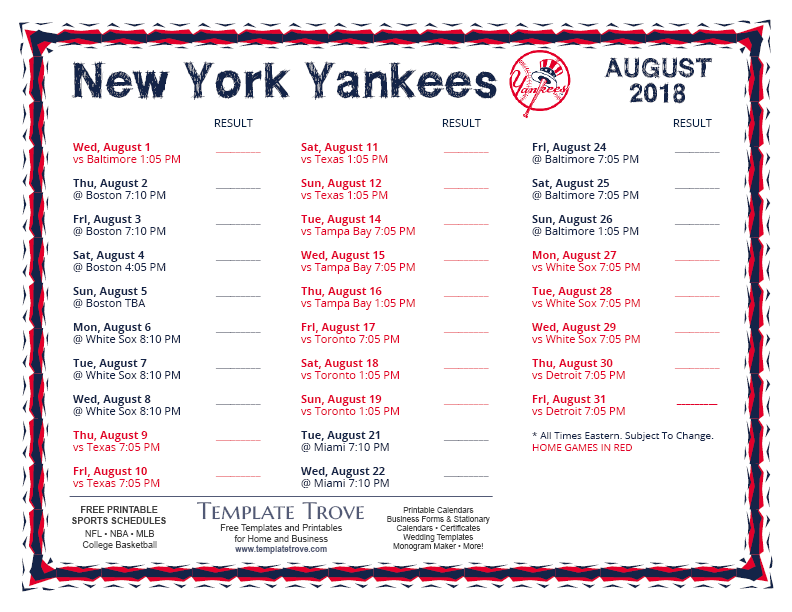 Includes space to write in scores. 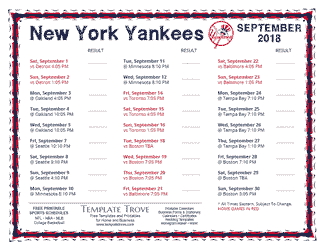 MLB logos are copyright of each team and the MLB. 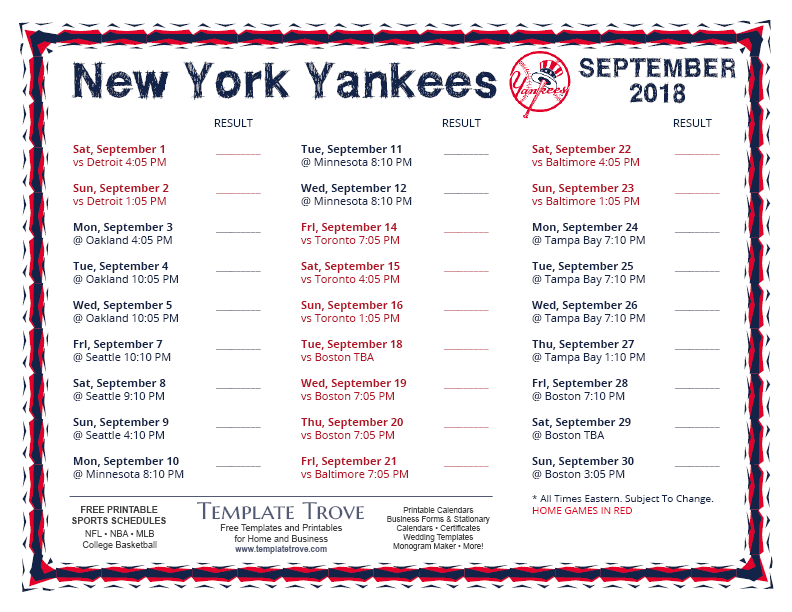 TemplateTrove.com is not associated with the MLB or any of it's teams.